Mother Nature: the world's most innovative killer. Deep in the jungles of Venezuela, mycologist Dr. Julia Fatheringham is engrossed in her study of native fungi. But what begins as a standard research trip quickly spirals into chaos when her associate's erratic behavior results in his horrifying death. Soon, Julia makes a startling discover: her partner was contaminated by an organism found only in insects. It alters the victim's mind in alarming ways, with an invariably deadly outcome. Julia is baffled by her discovery—this organism has never appeared in humans. It shouldn't be possible. There is only one terrifying conclusion: The infection has jumped species. This book starts out fast and doesn't let up the entire time! It takes a look at what could happen if a deadly organism was released on mankind and how it can quickly spread. It starts out as an accident but catches the attention of people that want it for nefarious purposes. Dr. Julia Fatheringham is working hard to keep it from spreading but it's not easy. People she should be able to trust are working against her. The story switches back and forth between multiple characters so, for the most part, the reader knows what side everyone falls on. I liked getting into the heads of the bad guys as well as the good guys. There were some surprises, though, as everything unfolded. Be warned that there are descriptions that will make you a bit squeamish. It reminded me why I'm not in the medical field--my stomach can't regularly handle things like that. I was still fascinated with what was happening, though, and couldn't stop reading. The idea that something like this could actually happen adds to the creepiness of it. This is a book where I didn't necessarily become invested in the individual characters (most likely since they were in crisis mode the entire time), but loved getting to know each of them and also loved the book as a whole! If you enjoy fast-moving suspense and have a strong stomach, this is a book you will definitely want to read! 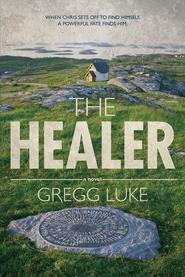 I LOVE Gregg Luke's thrillers! SO GOOD! SO RIVETING! SO AMAZING! WOW! What a story! Your mind will be completely engrossed in the twists and turns. This so needs to be made into a movie! This was an interesting read. I was surprised at how quickly I was able to read through it. The beginning was a little more gruesome that expected, and there was a lot of background stories that I didn't feel were completely necessary, although I understood why they were included. My body definitely tightened throughout the novel. I did feel like there were almost too many different points of view, although again, I understood why it was done in the way it was. It was a gripping read that had the pages turning. I would recommend it to anyone who likes to be on the edge of their seats and doesn't mind bit of mild gruesomeness. Wow! The concepts in this book blew me away. A Mother Nature infection can become a eco-terrorism tool. The first sentence of the book is "Mother Nature is a serial killer." A couple of paragraphs down reads: "Mother Nature. A mass murderer. No one is more creative..." That's how the book starts. From there it goes on to describe circumstances and situations that seem unreal, but at the same time completely plausible. EEEEWWWWW! This book gave me the willies. I just have to say it again. Ew! The mental pictures I have from this book gross me out. If this were a movie I would never watch it. I'm a bit squeamish. Can you tell? At one point I had to stop reading this book because I was feeling like this fungus was creeping up on me. Oh, and don't eat while reading this book. It may cause you to lose your appetite. Did I mention yet that I liked this book? Ha. It was fast paced and so plot driven. The characters didn't really resonate with me (well, except the bad guy) but the plot carried them along. I definitely never became bored while reading this book. I can think of a lot of adjectives to describe this book. Besides the few I mentioned above, here are a few more. Terrifying because all of the stuff in this story could easily be real and all these things could really happen- maybe they are happening and I just don't know it. Nasty- just wait 'till you read it. Ew! Intriguing because what if this did happen? And what kind of mind thinks up stuff like this (Gregg Luke!) ?! This book shook up my normal genre reading. It's always fun to shift mind gears and read something different than usual.